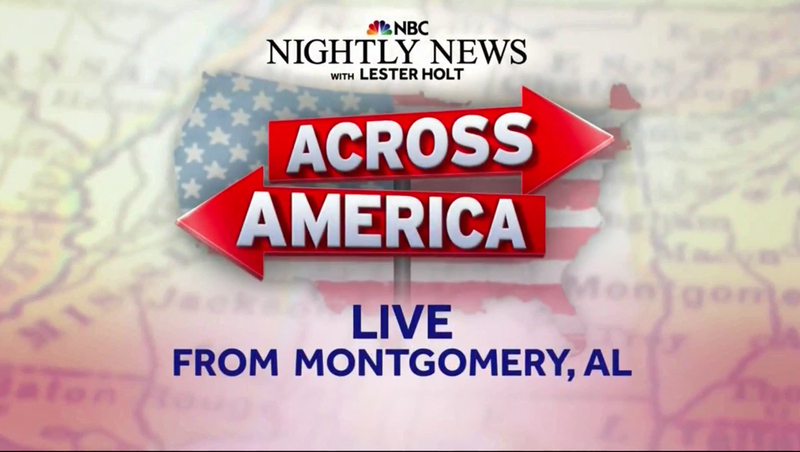 “NBC Nightly News” continued its Across America tour Tuesday, Oct. 9, 2018, visiting Montgomery, Alabama — with anchor Lester Holt starting the newscast inside a church and casually walking out the front door and down the stairs. NBC added the city name to the Across America title card Tuesday. 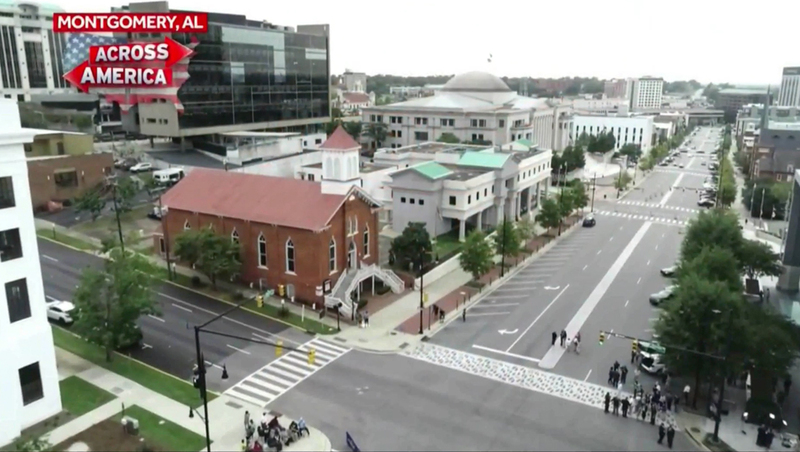 A drone shot of the Dexter Avenue King Memorial Baptist Church at the corner of Dexter and Decatur Avenue on Montgomery, Alabama. From later shots, it is clear the street has been closed to traffic and a police block can be seen farther down Dexter Street. 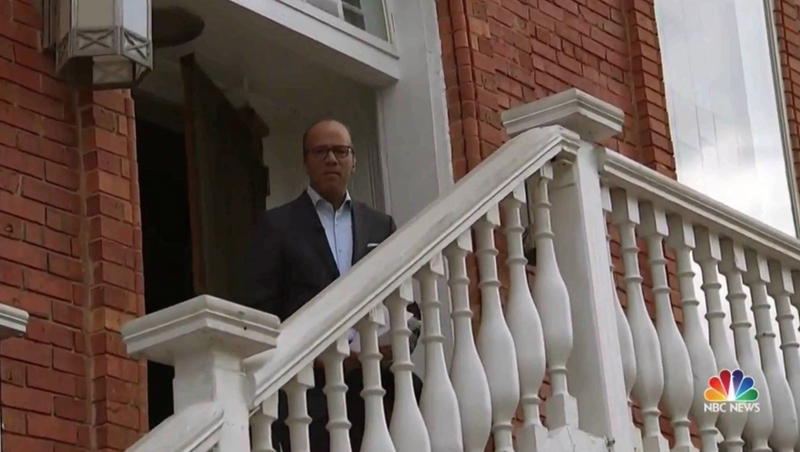 “NBC Nightly News” anchor Lester holt walked down the white stairs in front of the church to kick off Tuesday’s newscast.